Recently I've been caught up in an organising spree... I'm organising my house, my computer and now my blogs and all my web spaces. So be prepared for a lot of updates, I'll tweet those to you later on. And doing this, of course, I discovered how many things were missing or incomplete. 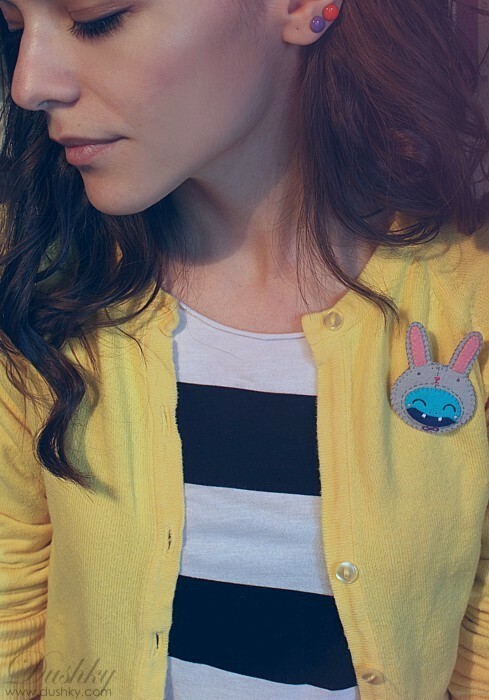 Like these photos I took with my sis for my little bunny, Easter special, accessories. Some of these little monsters gave me new ideas for some small series, so I hope I'll get to show you more soon. It was Easter mister but now it's time for a hot, sunny summer... so clothes off and shades on. You can find them all and more in my Shop or order them from my Breslo Shop, just click on the products to see more details and photos.